but im sure you'll get chatting to some of us and speak to us elsewhere, like, so its more personal is that makes sense?? Seeing as I'm up at a stupid time again I'm looking at potential tattoos and such. I'm not a big fan of them to be honest, more in the sense that if I'll get one it has to be there for a reason rather then just for whims. One plan after Uni is to join the Army and so I would have my regiment name and motto tattooed as it means something and is there for a reason. Nothing really like that but the general style. Something along the lines of a snake of bone but using that style, it depends on the jist and if it could be done. I'd have to get someone to draw it up me thinks. I wouldn't be getting one for a couple of years as no doubt my body shape will change, especially as I pick up training for the army and doing sports like archery. the tattooist can draw it up for you you might have to pay for them to specifically design it tho..i dont know. I didn't actually I don't really venture out of Society Chat and H&R forums aha. Yeah I know a tattooist can draw it up but I have a few friends who are decent, or damn good, at art and drawing + that way I can get it down to something I like with someone I trust etc. 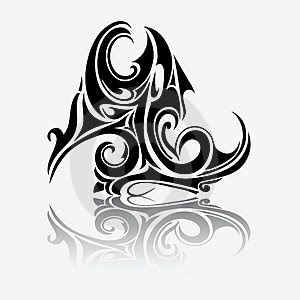 I like that design but those tribal tattoos are rather chlice'; you'll probably see a lot of guys with those if they've had a tattoo for the hell of it and, as I said, I like the idea of them being unique and there for a reason. Fair enough. Yeah I'd just like to have something that's a bit unique and means something. I'm not a fan of piercings per say. Again depends on what or where. Things like hips and such are a bit weird to me and I'm just like wtf at tounge piercings so not a fan of them at all. Me: You understand Spanish don't you? Her: Yeah. Pretty fluent in it actually. Me: Or we could start again. Name's Tom. I'm not, I'm just spending my time PMing people or in the backroom. Well right now my work/tax office has been naughty and not paid me as much as I should have been, a third of it infact and I go away for three weeks on Weds and I needed that money! Flarrgh. well thats not very fair....is there anyway you can complain or something? A third?!? How the hell are they trying to justify that?